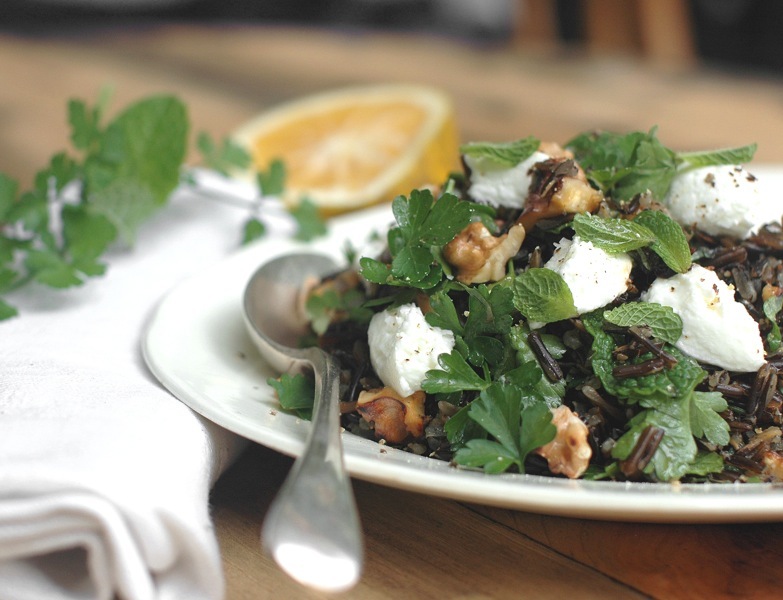 Wild rice has a uniquely earthly taste that goes really nicely with sweet, rich flavours: in this salad it’s studded with cherries and walnuts, lightened with fresh herbs and topped with creamy goat’s cheese . The Middle Eastern influence of cumin and pomegranate molasses make it a great partner for lamb. 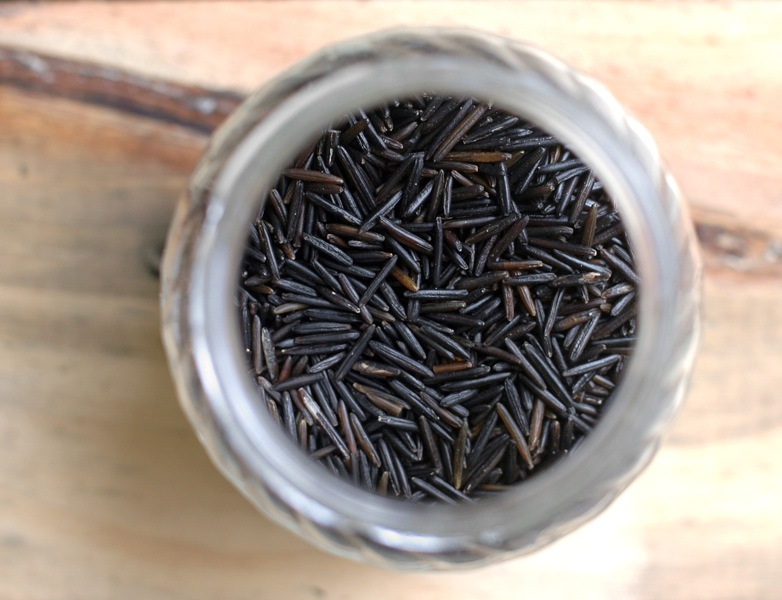 Wild rice is a great source of energy and fibre and contains more protein than most grains, along with the essential amino acid lysine. 1. Bring 1.5 L water to the boil in a medium sized saucepan. Add wild rice and adjust heat to a steady boil. Cook covered for about 40 minutes or until the rice is tender- it should retain a little chewiness. Drain, rinse the rice under cold running water then drain again thoroughly. 2. Meanwhile combine dressing ingredients in a jar and shake to combine. 3. Transfer rice to a large, wide mixing bowl. Add dressing, cumin, cherries, walnuts and herbs and toss to combine. Serve on a platter with pieces of chèvre arranged over the top. Finish with sea salt flakes, pepper and a drizzle of walnut oil for extra pizzazz.